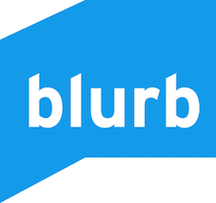 48hourslogo is simply the fastest, easiest and most affordable logo crowdsourcing website. With contest prize starting at just $99, more than 40,000 small businesses and entrepreneurs have used our amazing logo design service. +2M. 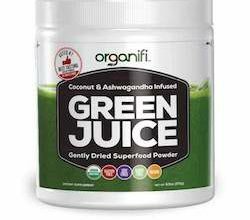 We power websites all over the world and support thousands more every day. BizFilings is the online incorporation provider of choice for more than 500,000 small businesses across the United States. BizFilings’ expert staff, step-by-step processes, and no hidden fees policy allow small business owners to form a corporation, limited liability company (LLC) or other business structure with confidence. BizFilings also offers a full range of business filing and compliance products, including Registered Agent services in all 50 states equipped with knowledgeable staff and tools to help businesses remain in compliance with state regulations. ClickFunnels was born in 2014 when the frustration and time required to build a successful funnel just became too much to handle. Russell and Todd got together for a week and mapped out their dream software, asking questions like, “Well what if it could do this?” If a question made sense, they would write it down and make it actionable, and some times, Todd would shut an idea down if it was just too farfetched. 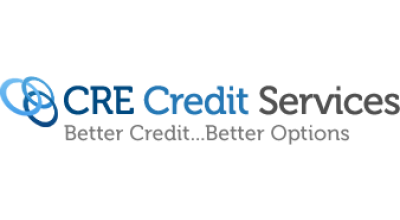 CRE Credit Services is a credit services organization offering credit repair services, credit restoration services, credit building services, and credit education services. 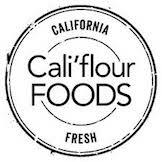 We operate in full compliance with Federal CROA and Texas State CSO regulations. CRE Credit Services is owned and operated by professionals with extensive experience in personal finance, banking, credit, credit reporting, collections, finance, mortgage, and experts that have been doing credit repair for nearly a decade. CRE Credit Services assists our clients in correcting and improving clients credit reports, credit scores, and credit knowledge. Mention “BrooklynMade” to get a special rate! John Lee Dumas here (but you can call me JLD), founder & host of Entrepreneurs On Fire, an award-winning podcast where I interview inspiring Entrepreneurs every Monday and drop value bombs every Thursday! If you’re sick of spending 90% of your day doing things you hate and only 10% doing things you love, then you’re in the right place. My goal with Entrepreneurs On Fire is to deliver the inspiration and strategies you need to start your own entrepreneurial journey and create the life you’ve always dreamed of. Whatever you need to simplify your to-do list, no matter your budget. Your payment is always secure, Fiverr is built to protect your peace of mind. 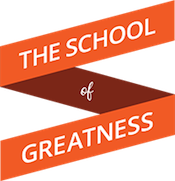 It offers Grant Cardone’s most extensive sales training curriculum on the web today. 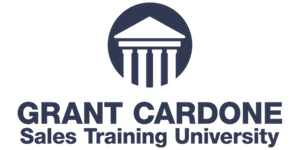 With over 1500 Segments of fully interactive video content, Cardone University is the one thing you can’t afford NOT to have. With Grant Cardone as your personal sales coach 24/7 and the full support of the Cardone Team, you can finally reach your potential. Professional at the top of their game train everyday… and their paychecks reflect that. Are you ready to become a REAL pro? Change, customize and add anything to your site – no code needed. Events are an essential part of the WeWork experience. From regularly scheduled office hours with venture capitalists or other industry professionals to tequila tasting happy hours with the whole community, we know how to work, and we know how to have fun. There are events, both social and professional, happening every day to help you build and maintain a strong team culture. RSVP at any time to any event on the Member Network or WeWork app. Create a high-quality website, blog or online store with tools that help it come to life. Start with a template that suits your style. Whether you’re a store owner, event planner, fitness instructor, musician or realtor, simply drag and drop content into place and make it your own. The Upwork story begins over a decade ago when the tech lead of a Silicon Valley startup realized his close friend in Athens would be perfect for a web project. The team agreed he was the best choice, but were concerned about working with someone halfway around the globe. In response, the two friends created a new web-based platform that brought visibility and trust to remote work. It was so successful the two realized other businesses would also benefit from reliable access to a larger pool of quality talent, while workers would enjoy freedom and flexibility to find jobs online. Together they decided to start a company that would deliver on the promise of this technology. 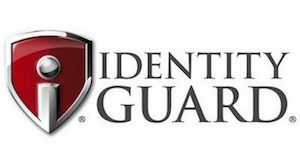 In 1996, Identity Guard’s founding company Intersections Inc. was one of the first to establish the identity theft protection industry in a colossal effort to help consumers protect their identities. Identity Guard has evolved to keep up with the quickly changing landscape of identity fraud, addressing the privacy and data protection needs of both individuals and businesses. Stepping into the future, Identity Guard teamed up with the world’s most recognizable artificial intelligence, IBM Watson®. Combining our company’s experience of protecting more than 47 million identities for over 20 years with the cognitive computing of Watson, we are building solutions that will help detect threats more efficiently, provide personalized guidance, and help customers be proactive about their identity protection. Nothing is more important to us than your satisfaction. That’s why we have a 100% satisfaction guarantee. Before LEWIS HOWES became a media sensation for empowering people and sharing ‘Greatness’ across the globe, he had his share of obstacles to overcome. From having a learning disability, which led to being alone and bullied in school, to being sexually abused as a child, to being injured and broke on his sister’s couch, Lewis’s story is the perfect example of how anybody can overcome the obstacles in their life and achieve greatness. Fast forward a few short years, and Lewis is a New York Times Bestselling author of the hit book, The School of Greatness and author of his latest book, The Mask of Masculinity. He is a lifestyle entrepreneur, high-performance business coach, and keynote speaker. Process Visa, Mastercard, Discover, and American Express at 2.75% per swipe. Manually enter card information and pay 3.5% + 15¢ per transaction.